Hawa is 35 years old. She is a single mother with 3 children (Daughter 17, son 12, Daughter 6.She only went to school up to P.7 because her parents didn’t have money to send her to secondary school. After marriage she farmed with her husband on his land. They started with a grass hut, and from their earnings and savings they built a 3 room house with kitchen iron roofed. They were happy and worked together growing (both were digging) beans cassava maize and kept chickens and 3 cows, 2 pigs. 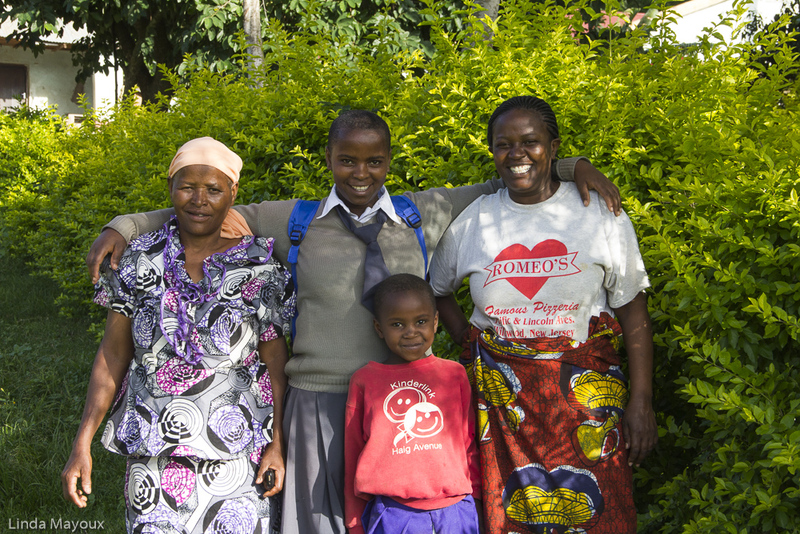 Afterwards Hawa went back to live with her mother who was living with her two other twin sons who she had been educating. She had to take care of all the three children. She started working as a casual labourer earning 3000 shillings a half day. (Not same for men. Men can get 5000 breaking stones etc). In the afternoons she would grow onions, green vegetables, potatoes, cabbages and selling in market. In a year she would earn about Tsh: 300,000. Costs were 100,000. Tsh: 50,000 clothes for the family. Tsh: 50,000 school fees. Other social contributions such as Funeral contributions, church would cost about Tsh: 80,000. She was also helping her mother and brothers who were still in school. She had 3 brothers and 1 sister in town who also contributed towards the upkeep of the farmily. She became a member of a VICOBA saving Tsh 3,500 a week. Before GALS she was depressed due to separation from her husband, who had become violent. She thought she could not manage bringing up children on her own. 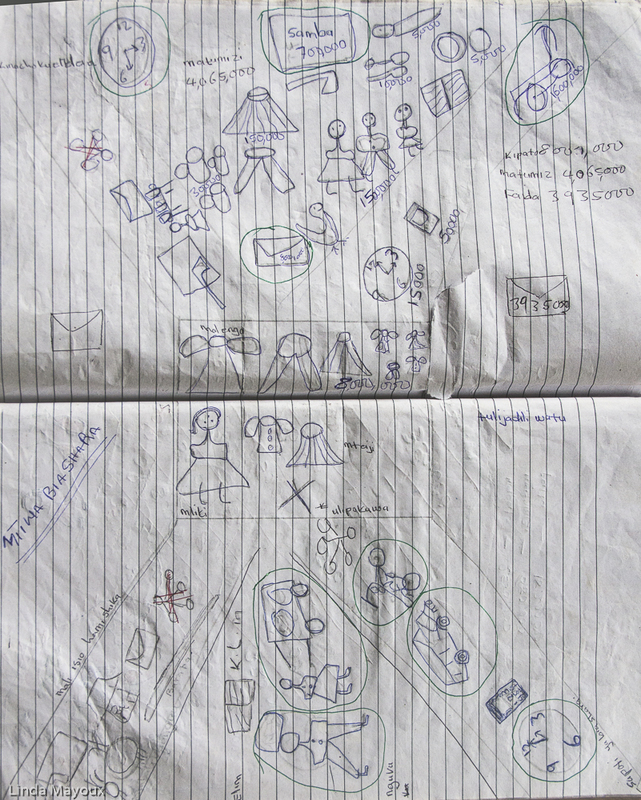 On her gender balance tree she drew herself with her children and identified many other things. She learned how to plan and how the children could help her with household chores. She has taught them the gender balance tree. Daughter would sweep and wash dishes. The others were young; the son would not have helped without GALS. Still there was some resistance her children and younger siblings thought household work should be done by grownups. As a single family it is their role to help her. They have started their own vegetable gardens for consumption and surplus for sell and they keep the money to buy their own things. While cooking the boy helps cutting onions, carrots etc. he will learn cooking later because it is gender balance. She does not want him to marry and make his wife suffer. She did not know that before GALS. Hawa’s daughter wants to be a policewoman she likes smartness and discipline and does not want to be treated like her mother she says she will not be beaten, the son wants to be doctor and younger daughter wants to be a teacher. On her leadership empowerment map she planned to train 42 ie; 5 neighbours, 7 from the church, 12 from her restaurant, 3 children and 15 from her VICOBA. Hawa is the GALS icon in Chome her area. There were initially 5 champions from Chome area, one of whom went back to school. Hawa has guided the remaining 3 champions. She has trained 32 people( 15 men and 17 women). She trained GALS house to house. Of the neighbours Hawa has trained 5 (2 female and 3 male)1 female has started poultry keeping , 1 female and 1 male(couple) have added 2 rooms in their house. 1 male is increasing onion growing and opened grocery business for his wife. The wife was doing GALS but she pulled out. 1 male was growing onions with his mother now has his own farm and his vision is to build a house. The church is far from where she leaves so did not follow up closely, she just met 7 friends after church they did not have notebooks. She has been meeting after service. But they say drawing is hard. Sometime she comes to the cooperative to give assistance the chairman Mr KitaaTumaini she has taught 6 people at the AMCOS. They know how to plan with the vision journey well, but she did not train other tools. She taught them depending on their time usually in the evenings and after work. She was enthusiastic and enjoyed it. If she asked them to come in one place in the moment, they would ask for payment. She considers GALS a self-reliance methodology and not asking for money. Morogoro National Coffee Conference (2014) Hawa presented what she learned about GALS. She talked about benefits of planning and visioning. She presented her vision journey but time was short. And she did not have enough time to express herself. But later people from different areas in the coffee sector praised her. They said GALS contributes to development of different groups and it is beneficial for household planning and budgeting. GALS Catalyst Workshop in Embu, Kenya, for SMS GALS process to train coffee farmers for 10 days. “We trained, we drew, we sang. We visited coffee cooperatives and individual Kenyan champions. We danced together and they were happy about GALS.” When she came back to Tanzania she shared with farmers what she learnt in Kenya. Now she is continuing to train on GALS and her plan to finish in her village and move to other villages. Now she has much bigger visions because of GALS knowledge and has also helped other people. 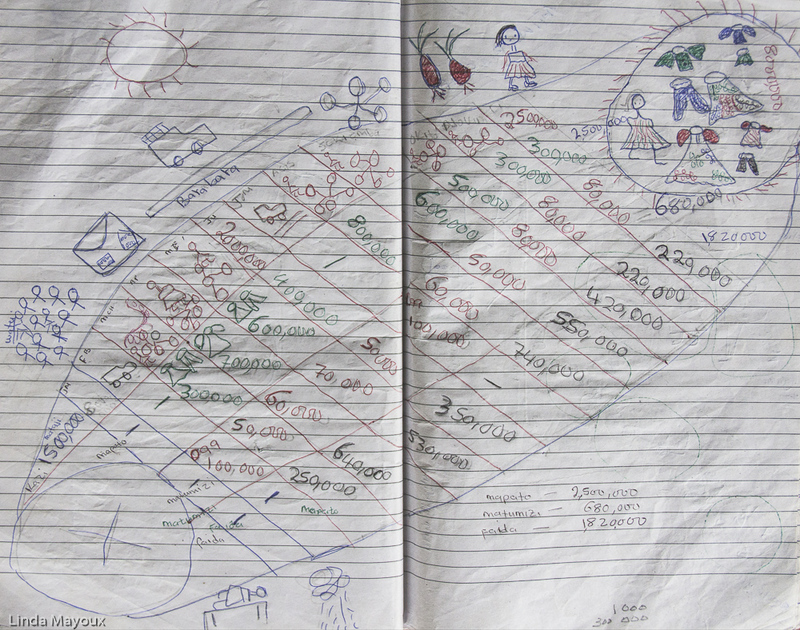 Hawa thinks that through learning GALS she has gained knowledge to understand how to plan and develop her life. She started learning how to vision on the vision journey. How she could be able to feed her children, take them to school, and save money. She made bricks and got iron sheets. She now has 1000 bricks 3 iron sheets. Now she plans well for her family and her businesses are improving and she is happy. She is working together with her 3 children. She is growing maize and beans for family consumption. She has managed to pay school fees for for all three of them. After school they help with household chores and at weekends they help her with vegetable gardening on the farm. By June 2014 she had managed to save up to Tsh 300,000/ through her savings and credit group. She had earned Tsh 200,000 profit from growing onions. This money she then used to buy chairs for a sofa set. She grew potatoes for sale for consumption. From the potatoes profits she has bought 5 iron sheets as she plans to build her dream house. She has 2000 bricks in place and 1 lorry of stones. She has also improved her restaurant business. At the July 2014 Vuasu Livelihood and Leadership Strengthening workshop Hawa drew a coffee calendar to improve her coffee business, and made plans also for a clothes business.